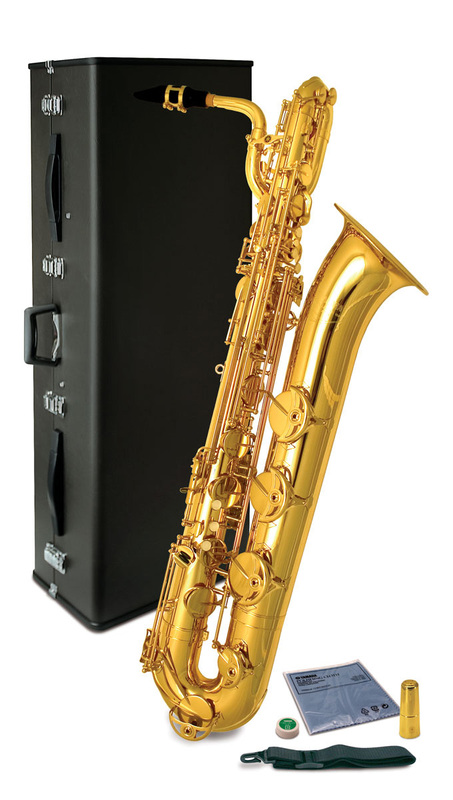 The 32 series baritone sax offers professional quality at an intermediate price. Much of its design is based upon the more expensive Pro and Custom saxes, and shares many of the same features. The YBS-32 delivers outstanding response, tone, intonation, as well as a comfortable playability. The YBS-32E proves to players that it is easy to create a big sound without the effort normally associated with the baritone saxophone. The keywork is designed to suit all hand shapes and sizes and makes playing such a big instrument surprisingly easy. With the added benefit of a free blowing 5C mouthpiece this enables the player to concentrate on reading the music rather than struggling with making a sound. Gold lacquer finish, top F#, adjustable thumbhook, supplied in a hard case.